This product is a Selina Naturally® BEST-SELLER! Indigenous people of the tropics have long relied on young coconut water for energy and vitality. 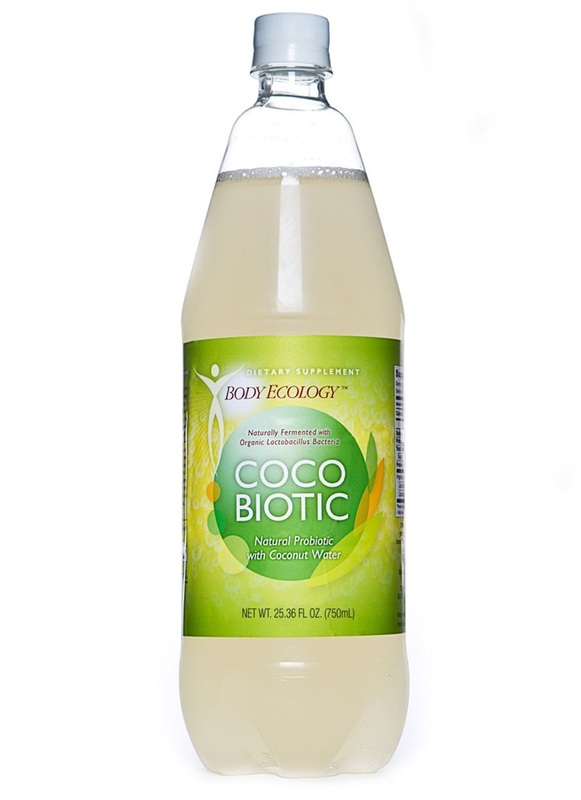 Body Ecology's Coco-Biotic takes the nutritional properties of wild-crafted young coconut water a step further by fermenting it--creating a delicious probiotic liquid. 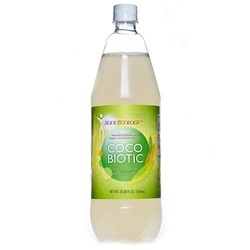 Coco-Biotic contains special strains of beneficial microflora (probiotics) and beneficial yeast which promote a healthy inner ecosystem. It has been well-documented that a good source of probiotic bacteria in the diet is helpful and that they are a natural part of the food chain. Many modern diets include caffeine, sugar, simple carbohydrates, preservatives and overly processed foods. All these factors can lead to reduced levels of probiotic bacteria in the intestinal system, providing an environment for putrefactive bacteria to dominate. Including B.E. Wholegrain Liquid in the diet regularly may help replenish the supply of probiotic bacteria and replace those lost through normal body functioning. Shelf life is 18 months opened or unopened. Because the Liquid is an active source of lactobacillus bacteria, the liquid is self-carbonating, we recommend refrigeration of the product after opening. Gently shake the bottle and untwist the cap slowly to release gas. There will be a little sediment in the bottom of the bottle that is necessary for food for the bacteria. Dilute with water, freshly squeezed juices, add to recipes, use in smoothies and salad dressings, or drink neat. Shake bottle gently and slowly release the cap. Drink it alone or try mixing with mineral water for a health-promoting drink. Refrigerate after opening. Batches may vary in color, taste, and fizz due to wild-crafted ingredients and the fermentation process.